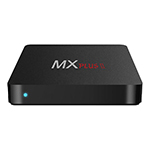 A new Mini PC/TV box brand was born this week, and this time it's not based in Asia, but in Europe! 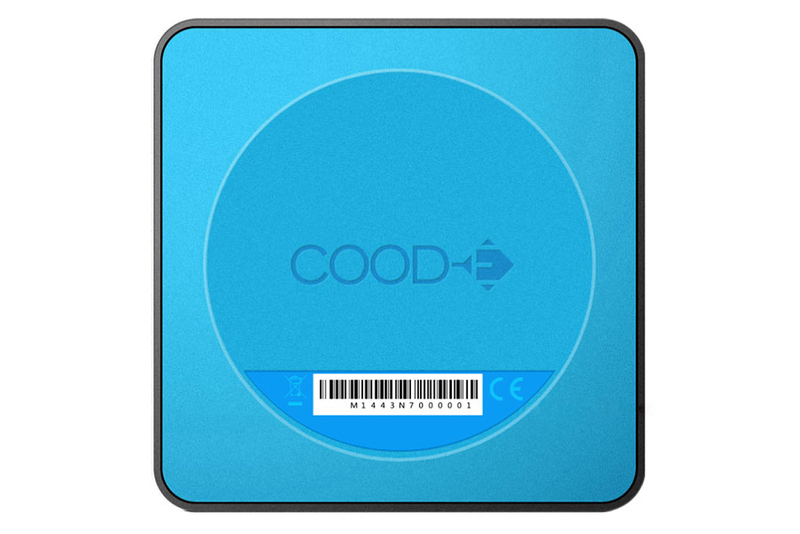 Cood-E is a brand launched by IBDL, a company connected to other successful brands like Mede8er. 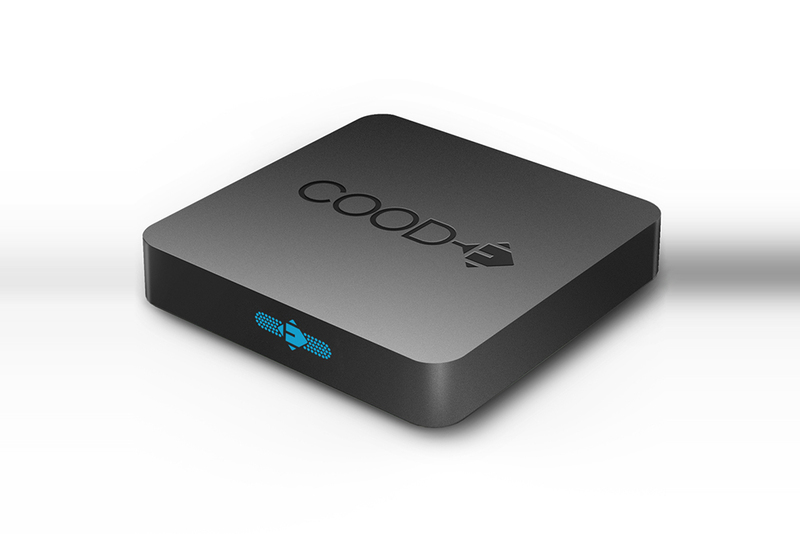 The first product launched by Cood-E is Cood-E TV, a Kodi box, which means it will be aimed at TV and movie fans, and it will be probably be preloaded with several XBMC / Kodi plugins. 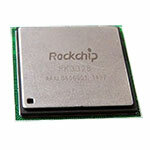 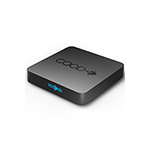 Cood-E TV uses the Amlogic S805 SoC (Quad-Core Cortex A5, up to 1.5Ghz) which comes with Mali-450MP2. 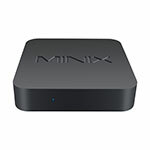 The box has 1GB of RAM and 8GB of storage (which apparently cannot be extended via SD card). 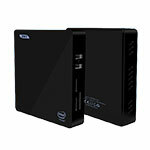 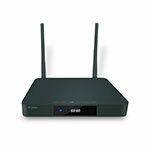 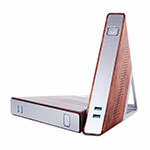 As for connectivity, it has 802.11 b/g/n Wi-Fi, Bluetooth 4.0 and 10/100 Ethernet, HDMI and AV and (only) one USB 2.0 port. 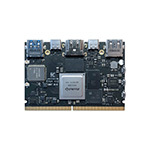 The company claims to have added special measures against overheating, and judging by the weight (600 grams) there should be a large heatsink on the CPU. Being a Kodi box only, the connectivity is minimal, you'll have to use an USB hub if you want to use a keyboard and mouse at the same time (or to access some contents from your HDD). 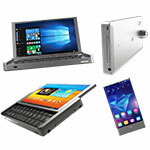 You could connect a keyboard/mouse via bluetooth. 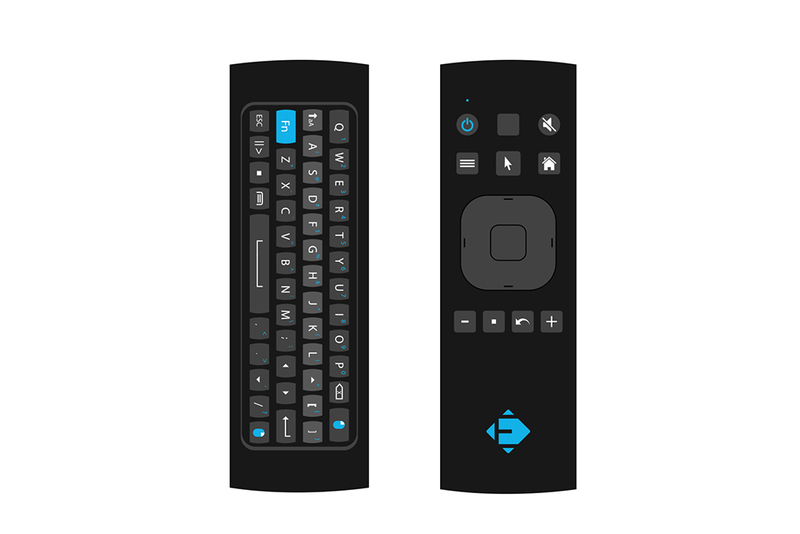 COOD-E will be offering the Bluetooth COOD-E KEY airmouse/keyboard as an accessory. 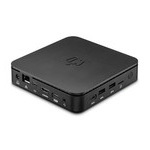 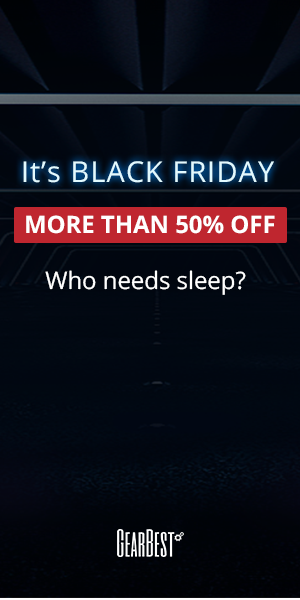 Pricing has not been available yet, but should be very similar to TheLittleBlackBox V2. 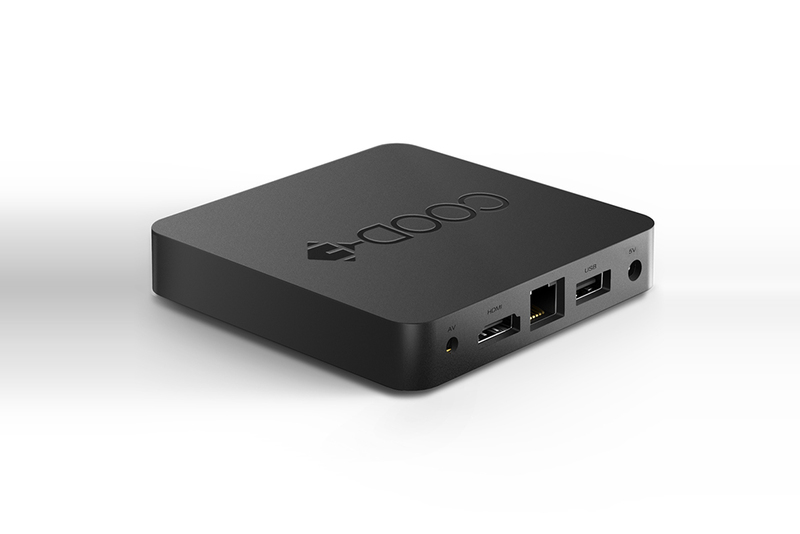 If you are from Europe, Cood-E TV will get to physical stores near you around first week of June, and you will also be able to purchase COOD-E TV and COOD-E KEY online.